The Laerdal Suction Unit LSU with Reusable Canister is one of the leading suction machines on the market and is used by healthcare professionals all over the world. The Vacuum Seal is essential for the operation of the Suction Unit as it helps prevent fluid from entering the vacuum system. 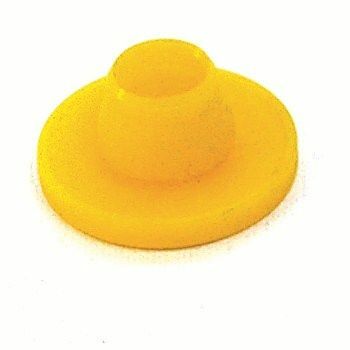 The Replacement Vacuum Seals are a pack of 10 replacement vacuum seals for the Reusable Suction Unit. Working in the field often means that you frequently move from place to place, be it on foot or via an ambulance. If the Reusable Canister already has fluid in it and the LSU topples over or the liquid splashes against the top of the canister, this could be detrimental without the Vacuum Seal in place. The Vacuum Seal prevents any fluids moving back into the suction tube system and making a mess. The Replacement Vacuum Seals for the Laerdal Suction Unit with Reusable Canister (Pack of 10) will be subject to a delivery time of 3 - 4 working days after the point of order. For more information, contact our Customer Care Team at 020 7501 0593.